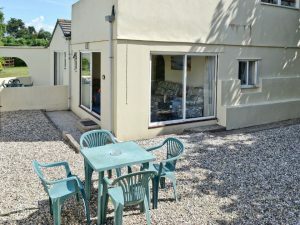 This Torquay cottage rental is available for holiday rentals. A former fisherman’s cottage it has two bedrooms and two bathrooms. Have just returned from a week in Torquay. We booked a small cottage through Karen from Holidays 4U. We had a very relaxing week in a beautiful and very comfortable property. 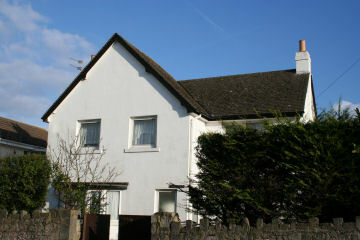 The cottage was very close to the sea front and all the amenities. We were able to stroll out in the evening and choose one of the nearby restaurants. So much easier than having to call a taxi each time. 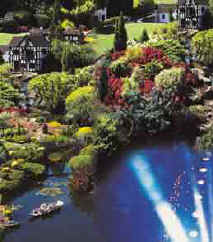 The area is very pretty and is even beautiful at night with coloured lights along the walkways. One night we collected a takeaway fish and chips as we had been recommended to Hanburys, which has won awards. Very good fish and chips, would definitely recommend this. The directions to the property which Karen provided us with were very good. Sat nav can get you so far, but this cottage was tucked away and would have been otherwise, hard to find. Collecting the keys on arrival were also very straight forward, as they were left in a key safe and we were given the code a couple of weeks before the holiday. There was a TV with plenty of good film channels, but as the cottage also has internet access, we were able to stream some films from our laptops. There was also a DVD player in the cottage and the owner had also left some games, which we enjoyed including an amusing Top Gear board game. There was also a selection of reading books, but we didn’t get time to read any, as our days were full of sight-seeing and visiting the beach. We were lucky with the weather, as it was sunny everyday apart from our day of arrival and our day of departure. 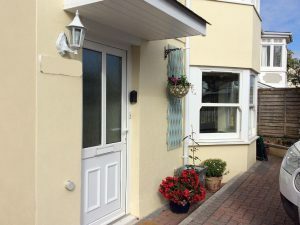 A two bedroom Torquay holiday rental only 600 yards from Maidencombe beach and 4 miles from the centre of Torquay. It is surrounded by stunning views. We stayed in a holiday cottage in Torquay which we booked through Holidays 4U. We have been coming to Torquay for many years and know the area quite well. We were pleased with our cottage this time around. The views surrounding the cottage were actually truly superb. We also did a lot of walking. There are some very good coastal walks. We drove to Babbacombe Downs and took the cliff railway down to Oddicombe beach. A truly spectacular piece of engineering history. They allow dogs as well. Then we walk around from Oddicombe beach to Babbacombe beach. We weren’t brave enough to walk up to the top of the cliff – it is very steep! So we just turned around and took the easy route via the cliff railway again. On other days we explored Maidencombe beach, Ansteys cove and Meadfoot beach. A word of warning on Meadfoot beach. We went down the steps from the roadside down onto the beach. The edge of the water was around 6 feet away. We were busy chatting away sitting on the sand. Suddenly a diver walked by saying “you do realise the sea is coming in fast”! If you are reading this Mr diver, thank you so much. We ran to the steps to find that they were partly submerged in water already. Thank goodness it was a calm day, so we could take off our shoes and wade through the sea water to reach the steps. It wouldn’t have been pleasant if the waves had been crashing against the sea wall! There should be a sign up, please Torbay Council. Anyway drama over – we had a very pleasant holiday.